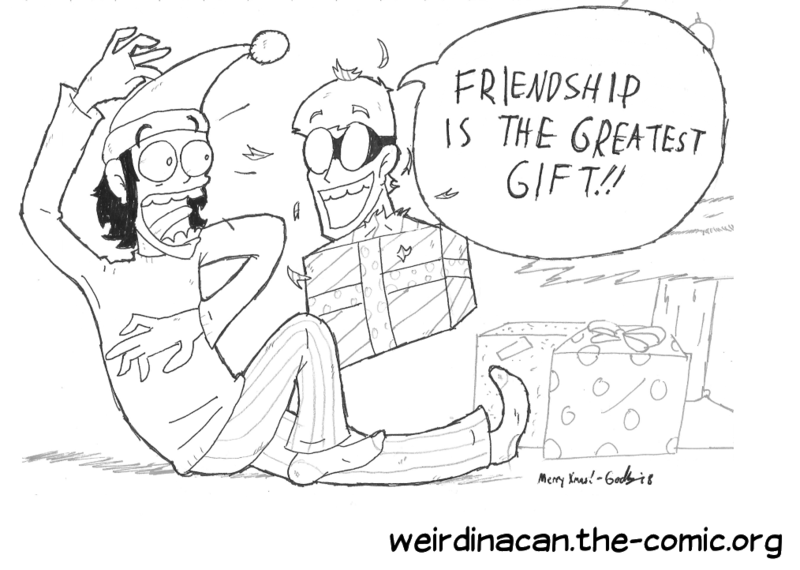 Latest comic: Intermission: Merry Christmas! A double-dose of fan art! Two new pieces of fantastic fanart today: Liz, from DrizzleDaydream, and George, from Drew Hunter! Check 'em out on the Fan Art! page! New fanart from halibabica of Chronicling Aidyn and Spelunkying: The Colossal Cave ! Check it out over in Fan Art! As for an update on the next chapter, titled "Donut Mess With Me"? It's still coming along, I swear. Nothing major, but since "Crush Test Dummy" finished up today, it seemed like a good idea to put the Single-Page Version up for the binge-readers who were waiting for the story's conclusion before catching up.